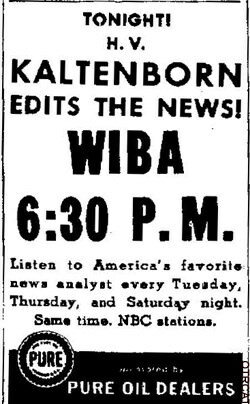 H. V. Kaltenborn was one of the first broadcasters to analyze the news and provide insight into current events, regardless of the popularity of the analysis. 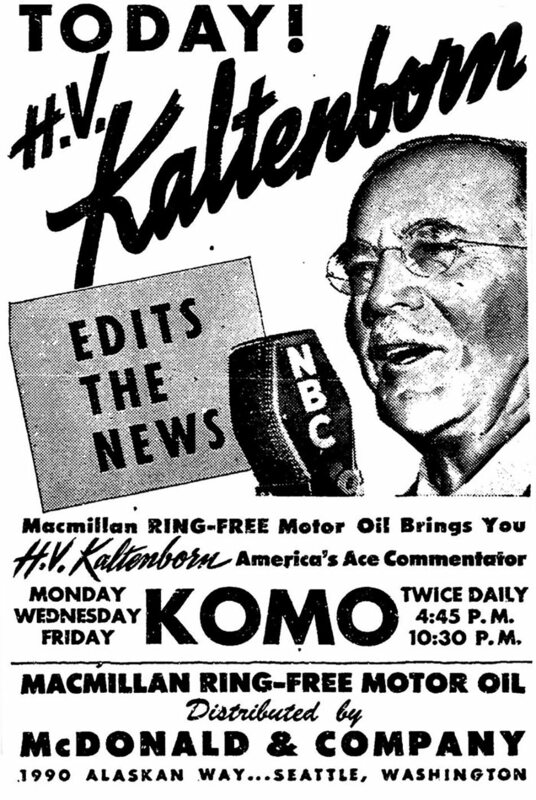 Kaltenborn was a very respected journalist and, in a huge coup, NBC snatched him away from CBS to give him his own show sponsored by the Pure Oil Company. The show premiered on April 6, 1940 and lasted into the 1950s. Kaltenborn was known for his rich descriptions, excellent vocabulary, and his precise diction. However, he was not afraid to acknowledge when he made a mistake. During the 1948 elections, Kaltenborn called the election for Thomas Dewey after a large vote fluctuation in Dewey's favor. Later during election night, there was another large swing in Harry Truman's favor prompting Kaltenborn to retract and call the election for Truman. 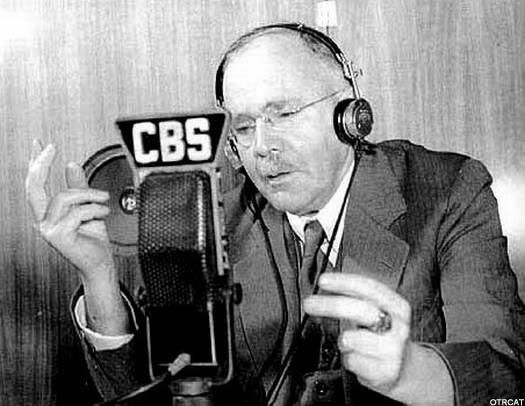 During Kaltenborn's newscast, he described how Truman impersonated him (Kaltenborn) describing how Truman was losing the election. He was not afraid to laugh at himself saying, "Beware of that man in power who has no sense of humor." Certainly a character, Kaltenborn ran away from home to fight in the Spanish-American War after which he spent time traveling around Europe. Eventually, he came back home taking a job with the Brooklyn Daily Eagle then leaving the paper at 24 to enroll in college at Harvard University. After graduation, he returned to the paper and started providing commentary on the radio beginning in 1928 at CBS. 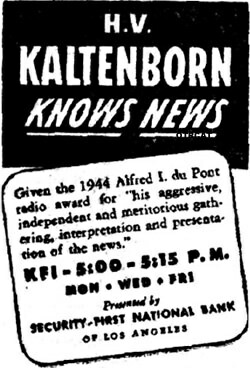 Kaltenborn was an unending well of information about international politics and foreign affairs making him uniquely suited to provide commentary on the state of the world in the 1930s. He covered the Spanish Civil War and the Nazi invasion of Czechoslovakia in 1938. Some analysts credit Kaltenborn's vivid descriptions and personal credibility with helping move The United States away from its isolationist tendencies. The man who was most famously roasted on election night by President Harry S Truman for making incorrect predictions concerning the outcome. Truman brought the house down with a spot-on impersonation of Kaltenborn declaring Dewey the winner and Kaltenborn later very graciously accepted the teasing and commented: "Beware that man in place of power who has no sense of humor."